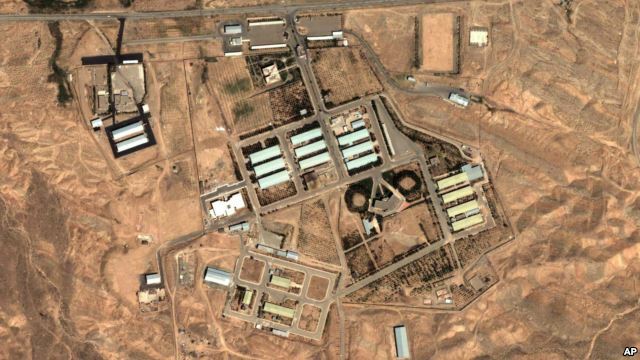 A draft of a side agreement to the Iranian nuclear agreement between the U.N. atomic watchdog agency and Tehran will allow Iran to use its own inspectors to investigate the secretive Parchin nuclear site, the Associated Press reported. The revelation comes just weeks before the U.S. Congress votes on whether to reject the deal. The Obama administration expressed confidence Wednesday in the technical plans of the International Atomic Energy Agency (IAEA) for investigating Parchin, a military base south of Tehran, and previous possible military dimensions of Iran’s nuclear program. U.S. State Department spokesman John Kirby said that while familiar with the contents, he would not comment directly on the purported draft IAEA document. "The IAEA is comfortable with arrangements which are unique to the agency’s investigation of Iran’s historical activities," Kirby noted. "When it comes to monitoring Iran's behavior going forward, the IAEA has separately developed the most robust inspection regime ever peacefully negotiated to ensure Iran’s current program remains exclusively peaceful – the overarching objective" of the Joint Comprehensive Plan of Action. Kirby described the confidential arrangement between Iran and the IAEA as routine with other nations. "What the deal has endorsed is ensuring that ... possible military dimensions of their program have been adequately addressed by the IAEA.," he said. "That is what the P5+1 has endorsed. ... That process, that goal, that achievement is part of the roadmap going forward because, as we said, until those concerns are adequately addressed by the IAEA, there can be no sanctions relief under this deal," Kirby added. The side agreement, known as "separate arrangement 2," diverges from normal procedures, AP reported, by allowing Iran to employ its own experts and equipment in the search for evidence of activities it has consistently denied: trying to develop nuclear weapons. But House Foreign Affairs Committee Chairman Ed Royce said, "International inspections should be done by international inspectors. Period." "Congress must now consider whether this unprecedented arrangement will keep Iran from cheating. This is a dangerous farce," he said in a statement. Congress is expected to vote on the Iran nuclear agreement when it returns from a recess next month. Ambassador James Jeffries, who served in the George W. Bush administration and is now a distinguished fellow at the Washington Institute on Near East Policy, expressed shock over this latest revelation and insisted the Iranians cannot be trusted. "I’m increasingly of the view that this administration will do anything to avoid challenging or irritating the Iranians," Jeffries said. "This was a country that was pursuing nuclear weapons at that site [Parchin]. I know that. I’ve seen the intelligence. This is going to reverberate very, very broadly around Congress, as it should." If Congress passes a vote of disapproval, President Barack Obama has pledged to veto it. Congress would then need a two-thirds vote in both chambers to override the veto. Jeffries said that while the White House will lose votes on this latest report, it is unlikely to derail the agreement. Regional analyst Stephen Zunes of the University of San Francisco said criticism of the draft side agreement is overblown, adding the IAEA has a good track record of monitoring nuclear activity around the world. "They do not let countries get away with self-inspections that would, in any way, threaten their ability to monitor the development, possibly, of nuclear weapons," Zunes said. He said the Parchin facility "has been used for testing new explosives, new engines for missiles and the like, which could have application to nuclear weapons. "However, given that there will be very direct, intrusive inspections regarding the enrichment of uranium, and other activities that could lead to fissile materials, in many ways this is not relevant. If they don’t have the fissile material to develop a nuclear weapon, it's not a threat," he added. Zunes views the overall agreement as containing the most intrusive inspections regime of any country not defeated in war. The IAEA has sought access to Parchin to corroborate intelligence suggesting Tehran conducted tests on nuclear triggering devices. According to the AP, Iran is to provide the IAEA with photos and videos of locations it says are linked to alleged weapons work “taking into account military concerns.” That suggests the agency will be barred from physically accessing the site. @JZarif : Finally #US President is responsible for any#deal. We review this bill whether there is a violation in US President obligations. Our counterpart is not US Senate or Congress; it's P5+1. They should all know, if there is no end to#sanctions, there will be no #IranDeal.